It’s been just over a month since the shocking death of acclaimed chef and host of CNN’s Parts Unknown, Anthony Bourdain, who died at the age of 61. His death was confirmed by CNN stating that his cause of death was suicide. 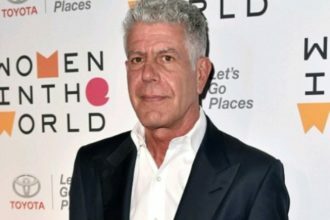 “It is with extraordinary sadness we can confirm the death of our friend and colleague, Anthony Bourdain,” a spokesperson for the network said in a statement at the time. 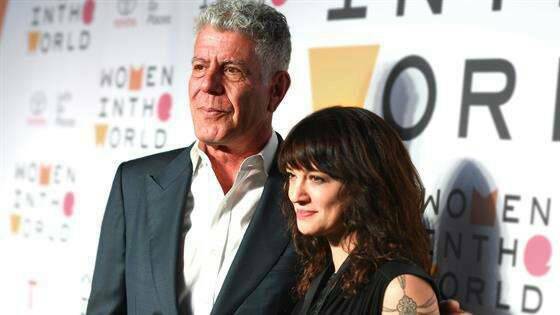 In one of his final interviews, conducted by Popula in February, Bourdain discussed everything from his work to his personal life including his relationship with Asia Argento, his longtime girlfriend. Speaking about the “happiest moments” of his life on the road, he answered that they were moments when cameras weren’t rolling. “My happiest moments on the road are always off-camera, generally with my crew, coming back from shooting a scene and finding ourselves in this sort of absurdly beautiful moment, you know, laying on a flatbed on those things that go on the railroad track, with a putt-putt motor, goin’ across like, the rice paddies in Cambodia with headphones on…this is luxury, because I could never have imagined having the freedom or the ability to find myself in such a place, looking at such things,” Bourdain said. The chef also spoke about his daughter, Ariane Bourdain, now 11, growing up in the society today. Also in the interview, Bourdain, confirmed he was completely in love with Argento and also discussed a tense moment in their relationship.